Seniors staying home alone can be dangerous. Their safety, medication punctuality, emergency situations need to be taken care of else these situations could fling the lives of their caretakers into chaos disturbing their peace. Amongst the more popular app-based safe alert systems for seniors is the Senior Safety app which is preferred for its strong features and practical design. Over 1 million people across 97 countries are utilizing this personal GPS tracker for the elderly to free-up their worries. Falling unexpectedly and receiving no timely help is a nightmare nobody should go through. 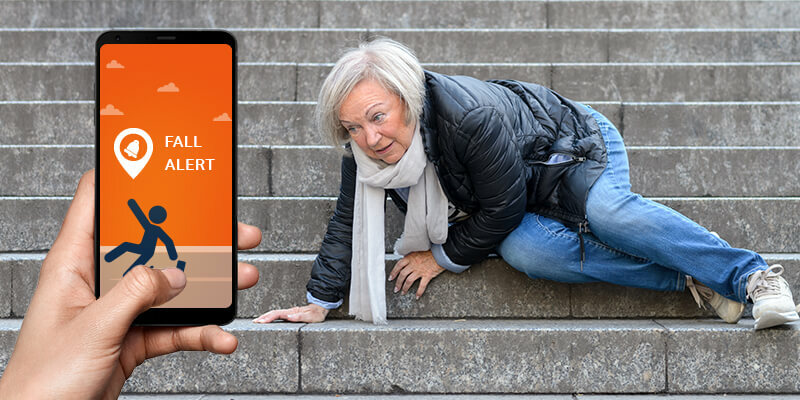 Senior safety app fall tracker was created for the explicit purpose of tracking falls and informing the app owner when the device user needs help. Fall tracker can be configured at high sensitivity, medium sensitivity and low sensitivity; the tracking engine can be customized to the user’s lifestyle so false alerts are minimized. Fall alerts come to your email with the current location of the device. In this app you can choose how and when you receive alerts for emergencies, device falls, phone location, geofence entry/exits, app usage, and more. The sensitivity of the fall tracker and the location services can also be adjusted here. The email you enter will be used to create an account for you to login on the cloud console at https://account.seniorsafetyapp.com. If you already have an account click the login option to use the same account for multiple devices. Unobtrusive, easy to use, and affordable, the senior alert system is chock full of features—from GPS location monitoring to fall alert systems for seniors and inactivity notifications – befitting a tool designed to safeguard elders. The app uses the GPS technology that is already built into modern smartphones, and then makes sense of the information it gathers. This is the same technology that is widely used in medical monitoring and senior alert systems for seniors these days. The app is also very affordable with all the features of a more expensive gadget including fall alert system for seniors, phone and text logs, inactivity trackers, and many more. While the basic SOS features are free for life, the premium features are available for just $4.50 a month or $45.00 a year. And should you be unsatisfied with the service for some reason you can simply cancel—no questions asked.